We love interiors and beautiful furniture. We at Melonwoods know that it’s not easy to find solid wood, trending furniture that is great quality but truly affordable. This is what we offer you at our warehouse where you can shop (open directly to the public) as well as on our Online Furniture Store. We love to partner with you in creating the home you have dreamed of. It is possible and we’re here to offer you just what you need. Our online decorating service is a fantastic tool that you can use to find your personal style as well has get us to decorate your room professionally at a really affordable rate. Our suppliers in Indonesia handcraft our furniture which fits well in classic, contemporary and eclectic decorating styles. 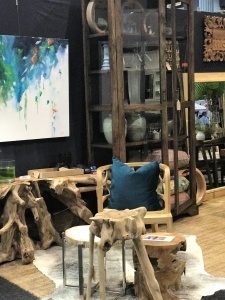 We are constantly importing new products and thrive on offering you something creative and unique each time you visit us. That said, we can re-order anything we have offered previously. Our showroom is in Riverhorse Valley, Durban, but we sell to and deliver nationwide. Add items to your query, send it to us and we will be in touch with further arrangements. We sell furniture for all areas of the home as well as a large range of mirrors. We cater to selling once off pieces but also wholesale quantities for hotels, restaurants and other decorating projects. Trading since 2005, we are a company based on ethical business principles. Melonwoods furniture is made from sustainable wood sources. Our suppliers in Indonesia are trustworthy and we quality control all our furniture received. We offer you a solution to your home decor and furniture needs with well priced furniture that stays in line with current furniture trends. We also offer a design service to help you solve your design dilemmas or just to help you convert your decor ideas into a reality.